A new pilot program at Allegheny Health Network (AHN), funded by a $73,000 grant from local breast cancer advocacy organization Glimmer of Hope, aims to help younger women diagnosed with breast cancer with coordinated medical services and integrative medical modalities such as acupuncture, massage therapy and nutrition counseling. The Integrated Breast Oncology Pilot for Pre-Menopausal Women, based at AHN’s Wexford Health + Wellness Pavilion, is dedicated to enhancing quality of life for younger breast cancer patients and minimizing any stressors that may complicate their treatment and hinder recovery. “We at Glimmer of Hope are thrilled to launch this pilot program at AHN, providing younger breast cancer patients with care that addresses their unique needs through treatment and into survivorship,” Ms. Napper said. The pilot is open to just 10 pre-menopausal breast cancer patients who are being treated at Allegheny Health Network and are referred by their physician. If the pilot is successful, AHN will look to expand to more patients and new locations throughout the network. Services will be open to any breast cancer patient on a fee-for-service basis. Key components of the program are one-stop shopping for medical services, coordinating treatment with integrated services that can help minimize symptoms and side effects, and removing barriers to treatment. A nurse navigator who will coordinate care, including a meeting with doctors to outline the patient’s plan of care, including supportive and integrative services. The patient will receive an appointment book/diary/log where she can record appointments and thoughts on her cancer journey. Ten one-hour acupuncture sessions from a contracted, licensed acupuncturist. Acupuncture has been shown to relieve symptoms such as nausea and vomiting, fatigue, insomnia and anxiety in breast cancer patients. Four massage therapy appointments, including lymphatic drainage if needed. Massage can reduce symptoms, improve coping skills and enhance quality of life in cancer patients. Nutrition counseling provided by a registered, licensed dietitian. Free childcare services onsite at the Wexford Health + Wellness Pavilion, and if needed, free transportation via the Glimmer of Hope van or the Uber driver service. Rooms at the Wexford Health + Wellness Pavilion have been renovated to create a tranquil spa-like private suite with treatment rooms, a waiting area and reception area. AHN breast surgeons Shivani Duggal, DO, and Mary Beth Malay, MD, will oversee the program at Wexford. Funding for the program is provided by this year’s Pittsburgh Pirates Pitch for Hope, an event that lets women learn baseball fundamentals from Pirates’ coaches, and donations from rue21, The Pittsburgh Pirates, Pirates Charities, AHN, Highmark, Diehl Automotive Group, The Dimond Family, Cris, Ralene and Wyatt DeBord; Moe’s Southwest Grill Pittsburgh, Chick-Fil-A Pittsburgh, Chelsea Collective, Oxford Athletic Club, and the Zumba Team of Oxford Athletic Club. According to Comparion Medical Analytics, 2016 National Quality Rating Database, AHN is rated in the top 10 percent nationally for cancer care quality. 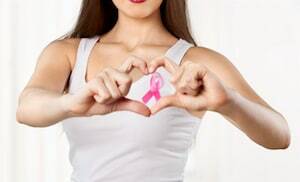 The Wexford Health + Wellness Pavilion offers a full complement of breast cancer services, including state-of-the-art screening with 3-D breast tomosynthesis. In 1996 A Glimmer of Hope organization’s founder Diana Napper designed the first Glimmer of Hope pin and began selling them with the proceeds going to breast cancer research. Since that time, the organization has raised over $3 million for breast cancer research. Allegheny Health Network is a western Pennsylvania-based integrated healthcare system that serves patients from across a five state region that includes Pennsylvania, Ohio, West Virginia, Maryland and New York. The Network’s Cancer Institute offers a complete spectrum of oncology care, including access to state-of-the-art technologies and new therapies being explored in clinical cancer trials. The Network’s radiation oncology program is the largest in the country and the only one in Pittsburgh dually accredited by both the American Society for Radiation Oncology and the American College of Radiology. AHN also has a formal affiliation with the Sidney Kimmel Comprehensive Cancer Center at Johns Hopkins, one of the nation’s 41 comprehensive cancer centers designated by the National Cancer Institute, for research, medical education and clinical services. To schedule an appointment with an AHN oncologist, please call 412.DOCTORS or visit www.ahn.org/find-a-doctor.